Non-conductivity, Easy Install, Lighter weight, Maintenance free, High-strength structural properties and Fire Integrity, No painting at anytime as they have UV Protection. Palisade, Barbican, Mini Mesh Fence and Gates and Picket. Choose GRP for your Security Fencing and Gates. The easy bit is supplying the product, the challenge is knowing what quantity you would need. If you do know, great, if not send us a drawing or just call us and we can arrange for a free site survey and advise you accordingly. It's not just GRP Fencing! 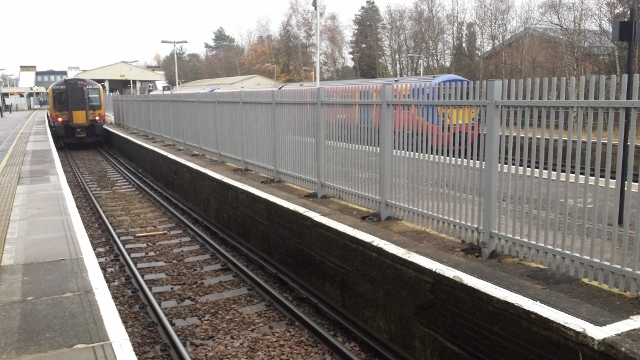 Why GRP Gates & Safety Fencing? Because its non-conductive properties and can be used in areas as the better option instead of metal or case sensitive areas where metal is unsuitable. 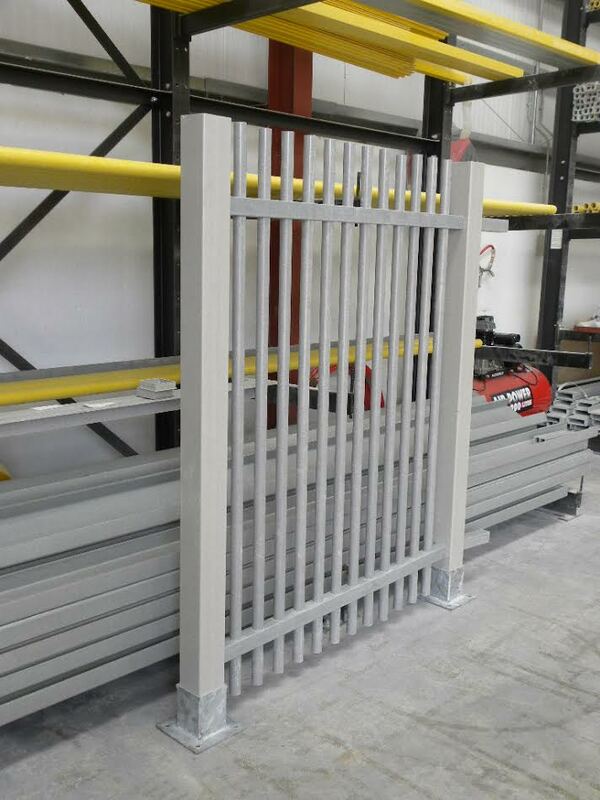 It's totally corrosion resistance, versatile and adaptable to all kinds of fencing projects large or small. We can fabricate to your requirements. This product offers simplicity for new installations and refurbishments. This product is designed for all Gates & Fencing new Installations and Refurbishments and other civil engineering works such as the creation of access points, walking routes and access steps etc. Pultrusion is a manufacturing process for producing continuous lengths of reinforced polymer structural shapes with constant cross-sections. After being saturated in matrix materials (such as unsaturated polyester resin), reinforced materials (such as textile reinforcing fibres and fibreglass continuous mat), it is pulled by pultrusion equipment, and then hardened through dies, thus pultruded structural shapes are produced with a smooth surface, stable size and high strength. Pultruded FRP structural shapes are made from densely packed continuous fibreglass, which is wrapped by a layer of fibreglass mat. The dense fibre core makes the structural shapes hard and strong, and their absolute values of vertical flexural strength and impact strength higher than those of common steels. The use of fibreglass mat also increases the transversal strength of the structural shapes and helps form a rich resin layer on the surface so that they are resistant to corrosion and cracking. This can be fixed using surface mounted special brackets as shown in other attached images. These have been specially designed for the GRP 100mm x 100mm post. It is then fixed down using 4 x bolts.